It is the Christmas season and I am making and eating a lot of cookies, so when it came time to think of a recipe from Germany my mind went first to cookies and cakes… oh, the German's make such fabulous cookies and cakes, but I really needed something nourishing for myself and my family. I realized that I didn't know anything about savory cooking from Germany, so I decide to investigate. 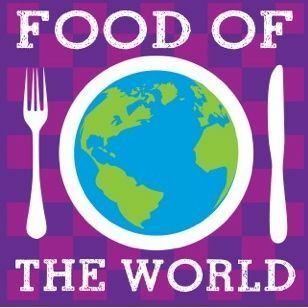 Germany is a very large country with many regions and food traditions. My brother-in-law is from the Southern part of Germany, Bavaria which is know for it's good food and beer. 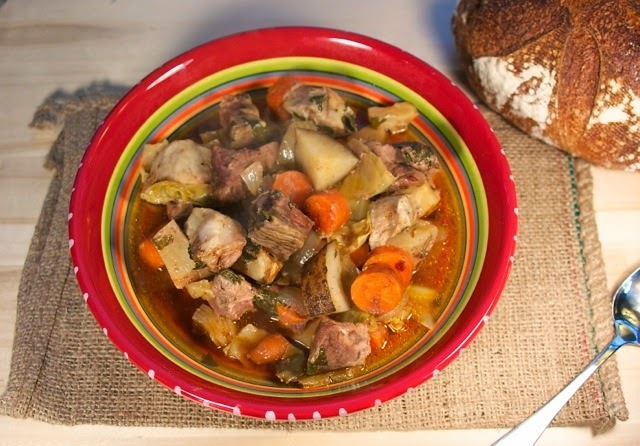 I decided to make a savory dish from this region, and because I love peasant cooking, when I came upon recipes for Picheisteiners a traditional stew from the area, I immediately knew I wanted to create my own version. 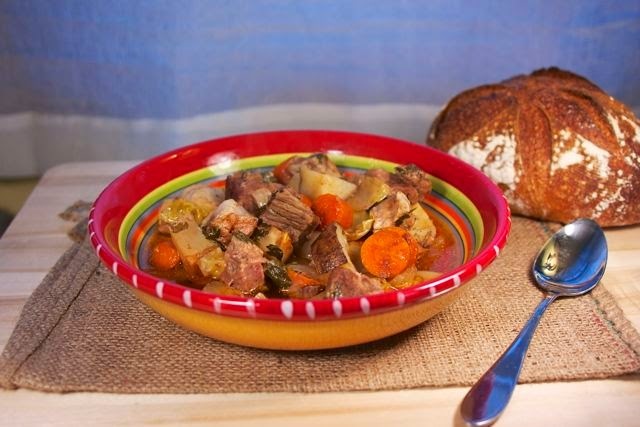 A Picheisteiner is a very adaptable stew that can really be made with any vegetables you have in the fridge that need to be cooked up. The only real requirement seems to be green cabbage and a few types of meats. The seasoning is just a little paprika and parsley. So enjoy my version or create your own and please if you have any German recipes to share link them up and add the link up to your site. 1) Melt butter and add paprika, parsley, and salt and pepper to it it. Set aside. 2) Chop up the vegetables put them in the crockpot. Pour beef broth over them. 3) Chop up the meat and put it on top of vegetables. Pour the butter seasoning mixture over the meat. 4) Stir everything up and let cook on low for 6 hours. Check salt and pepper before serving with a hearty bread like rye, pumpernickel, or sour dough. Next month we will travel to China for Chinese New Year that is at the end of January. China is a vast country with so many styles of foods to explore: SIchuan, Anhui, Shandong, Fujian, Jiangsu, Huaiyang, Hong Kong and Guangdong. Your German Stew will be perfect today, it sure looks good and I brought some little cookies for our dessert. Hope you have a fun day, stay warm and thanks so much for hosting the party! We had an ice storm yesterday and we are getting a snow storm today. Two days the kids have been off from school... well at least we have power and a big pot of stew. That stew looks delicious Diane! I'm not doing real great with foreign cooking...but Chinese I can do! I've got this great cookbook full of traditional chinese dishes. Foreign cooking is definitely challenging... but I love being surprised by something I would have never thought of eating. Chinese should be fun. 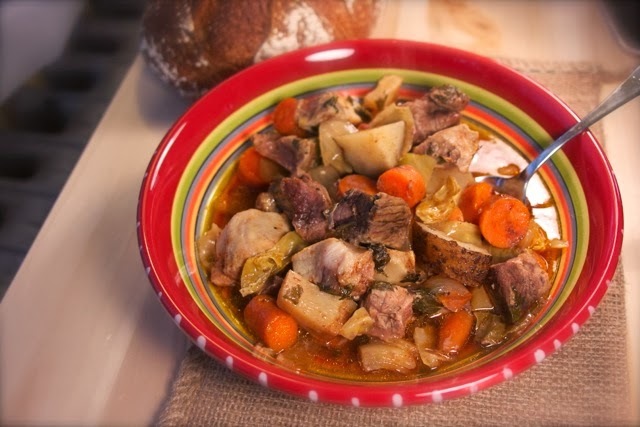 This stew not only looks delicious, but is a perfect choice for the weather we’ve been having! Pure comfort!! Thanks Kathy, I am not very experience with German food... but this was good first savory try. My family loved it. I'm am definitely pinning this one to try out soon! I am so in love with my crock pot and love finding new recipes to try in it. This stew sounds tasty and filling. My German brother-in-law is making it tonight... we loved it. This is so perfect for these busy, bitter cold days! I couldn't agree more. You can put all the ingredients together the night before in the fridge and put them in the slow cooker in the morning. 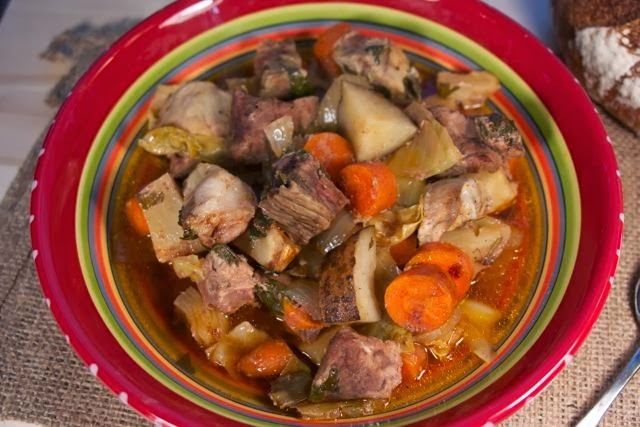 You summed up this stew very well. Merry Christmas to you and your family too.